Imagine Bridal has earned a reputation for exquisite rings with unparalleled craftsmanship. Fall in love with Imagine Bridal's timeless quality whether your ring is crafted in 14k, 18k white, gold, rose or platinum. Imagine Bridal creates fresh designs that capture a fundamental elegance that never goes out of style. Founder and president, Brian Hakimian. believes there is something truly universal in what people find beautiful. For 40 years, New York-based Imagine Bridal has successfully brought this aesthetic to life with their matchless engagement, wedding, and anniversary ring collections, supplying over 200 independent stores nationwide. Kevin's Fine Jewelry is an authorized retailer of Imagine Bridal's most popular rings including many from their engagement collection. The stunning Low-Profile Shared Prong engagement ring is their best-selling style and captures a universal beauty that resonates as much with today's couples as it did with their parents and grandparents. The Bead-Set Graduated Cathedral engagement ring is clean with a vintage touch while the Cushion Shape Split Shank Halo engagement ring will enhance the sparkle of your diamond to its most brilliant. 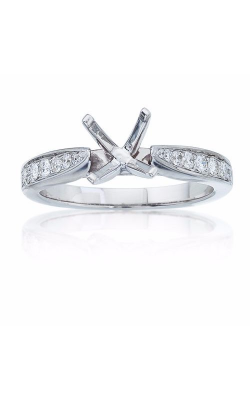 If you have an anniversary on the horizon, celebrate your lasting love with Imagine Bridal's Pavé Comfort Fit anniversary band, the meticulously sculpted Round and Princess Cut Diamond Pavé band, or the Art Deco Flavored Round Diamond U-Prong Milgrain band. 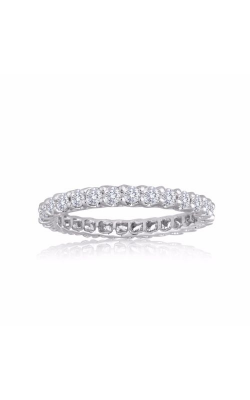 Kevin's Fine Jewelry also has a wide selection of wedding bands including the popular Round Diamond French Pavé Eternity band with Forevermark diamonds and an array of gorgeous channel wedding bands that will dazzle for years to come. The selection at Kevin's Fine Jewelry are guaranteed to delight. Why Shop at Kevin's Fine Jewelry? For almost 40 years, family owned and operated Kevin's Fine Jewelry has serviced the Totowa and northern New Jersey area with a selection of designer wedding bands, engagement rings, and Swiss timepieces. When you buy from Kevin’s Fine Jewelry, expect top service with a lifetime warranty and free cleaning and inspection services every six months to ensure your jewelry remains brilliant. All diamonds purchased from Kevin's Fine Jewelry are eligible for a lifetime upgrade allowing you to trade your diamond for 100 percent of its value toward a new stone. The goal at Kevin's Fine Jewelry is to enhance and strengthen relationships through uncompromising customer service, quality, and integrity. Forever starts at Kevin's.